Since Docklands’ inception 20 years ago, Melbourne’s CBD waterfront extension has developed into a thriving mixed-use precinct. Whilst precinct development is only 60% complete, Docklands already offers dozens of dining experiences, world-class attractions and entertainment venues, accommodation, shopping and family-friendly activities to millions of visitors of all ages and budgets year-round. Docklands hosts many of Melbourne?s major events including Australia Day and Chinese New Year celebrations, New Year?s Eve and winter fireworks, outdoor film screenings and the Melbourne Day Regatta. Docklands is centrally located and provides easy access to the Melbourne CBD and?inner-city suburbs to the west and south-east. Docklands is located in the Free Tram Zone with access by five major?tram lines (30, 48, 70 and 86)?and is a destination stop on the Free City Circle tram (35). Southern Cross Train Station is located at the gateway to Docklands and provides easy access for metropolitan commuters and regional visitors on V/Line services. Flinders Street station is located only one stop away. Public Transport Victoria is your central stop for public transport information for Melbourne and wider Victoria. Port Phillip Ferries is an innovative ferry service that runs daily between Docklands and Portarlington on the Bellarine Peninsula. The service offers tourists and commuters the opportunity to cruise across Port Phillip Bay in a comfortable ferry, with the perfect vantage point enjoying the sights and sounds of the bay. There?s a caf? on board, free Wi- Fi and bike racks. Jump on board just across the road from Etihad Stadium. Hop on and hop off the?Melbourne Visitor Shuttle at any of the 13 stop points on route. 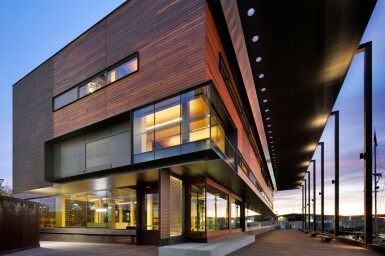 Docklands is a 20 minute drive from Melbourne airport. There are over 5000 public car parking spaces in Docklands?that cost as little as $10 for a full day. The District Docklands Car Park is open 24 hours a day, 7 days a week – no pre-booking required. Explore the 7km of Docklands’ waterfront by bike on the four major bike trails converging in the Docklands precinct. Bike hire at the Melbourne Bike Share stations can be found in eight Docklands locations. Experience the Docklands waterfront and some of the best views of Melbourne by boat. Charter Boat Cruises are available year-round?with a variety of themed, ticketed shows and experiences or you can book a water taxi. Hire a boat or climb aboard an Aqua Donut BBQ boat for a unique self-guided water experience. Docklands is a 25 minute walk from Melbourne Town Hall. Docklands waterfront is a photographers paradise?with a number of Yarra River bridges and waterfront vantage points coming alive at dusk. Walking tours are available for those wanting a guided experience. Pick up a copy of the Official Docklands Visitor Map from the Melbourne Visitor Centre or the Harbour Town Visitor Lounge to navigate your way around the precinct. Interested in becoming a member? Click here to apply!